Tooth sensitivity is defined as an experience of pain or discomfort that is sharp, sudden, piercing or excruciating in nature that is felt deep into the nerve endings. 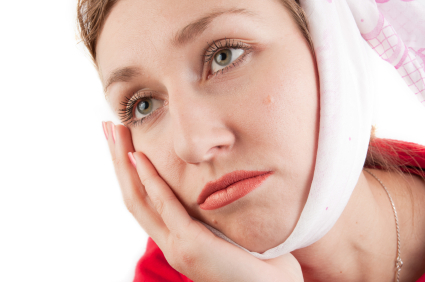 The pain may affect the tooth constantly or intermittently depending on its cause and nature. Generally tooth sensitivity is caused by receding gums and enamel damage that leads to dentinal tubules in the dentine layer to be exposed and hence sensitized. Therefore, thermal sensitization like hot or cold drinks intake may make you cringe in agony. Occasionally, sweet and sour foods or even breezy cold air could also inflict sudden sensitiveness. 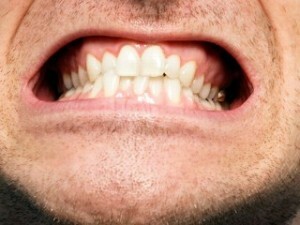 This entry was posted in Oral Care and tagged abrasion, attrition, braces, dentine hypersensitivity, fractured tooth, pain, root canal treatment, sudden tooth sensitivity, teeth grinding, tooth whitening on August 12, 2010 by EiLeng C.
Are you grinding teeth in your sleep? This entry was posted in Oral Care and tagged bruxism treatment, grinding teeth in sleep, grinding teeth in your sleep, mouth guards for teeth grinding, night bruxism, sleep bruxism, stop grinding teeth, teeth grinding, teeth grinding causes on November 26, 2009 by samanthaloh.